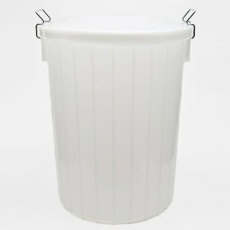 A 6.5 gallon total capacity food grade plastic fermenting bucket, perfect for primary fermentation of 5 gallon batches of beer. 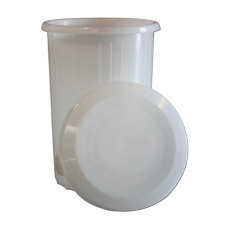 A grommeted lid for the 6.5 gallon fermenting bucket that can accommodate an airlock. 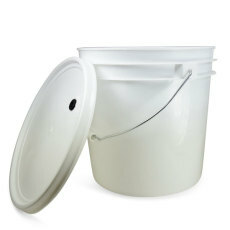 A 7.9 gallon total capacity fermenting bucket, perfect for primary fermentation of 6 gallon batches of wine. 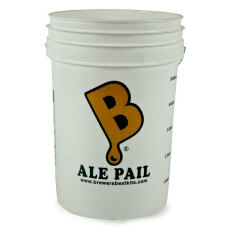 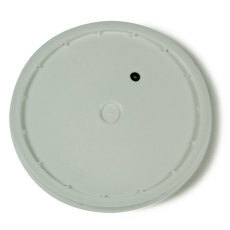 A grommeted lid that fits the 7.9 gallon bucket, which allows adaption of an airlock for fermentation. 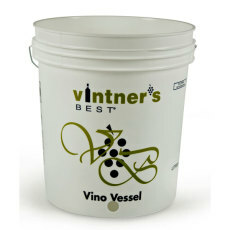 Perfect for large batches of wine made from fruit or homegrown grapes! 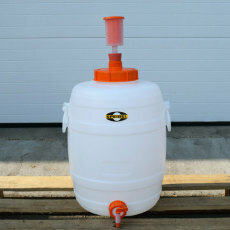 A 14 gallon FastFerment conical fermenter from Fast Brewing! 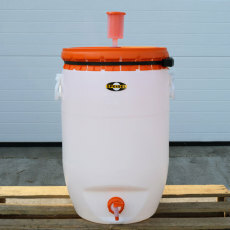 Do primary and secondary fermentation of larger batches of beer and wine in the same vessel! 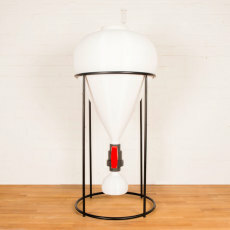 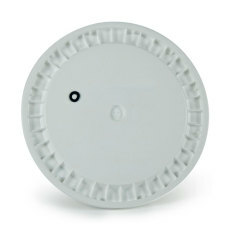 Easily dump trub and collect yeast with the valve and collection ball!